Counterbalance Poetry is a 501(c)(3) non-profit organization. Your donations are gratefully accepted and are tax deductible to the extent allowed by law. 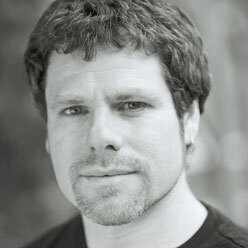 Joshua Weiner is the author of The World’s Room and From the Book of Giants (Chicago). He is the recipient of a Whiting Writers’ Award and the Rome Prize from the American Academy of Arts and Letters. His poems and essays have appeared in Best American Poetry, The New York Review of Books, The Nation, The American Scholar, Village Voice, Chicago Tribune, Threepenny Review, Poetry, TriQuarterly, Yale Review, Colorado Review, Washington Post, Slate, and elsewhere. He teaches at the University of Maryland and serves as poetry editor at Tikkun. He lives with his family in Washington DC. Broadside created by Paul Hunter/Wood Works Press for the poet’s reading for Counterbalance Poetry on Thursday, January 31, 2002. Printed on hand-set metal type on archival paper with original woodcut. Limited to 137 copies.